I LOVE YOUR DONUTS!!! They are the BEST from here to Atlanta Georgia and back! THE BEST DONUTS EVER!!!! I've long been a neighbor to Nord's Bakery, prior to their opening as well. My first taste, ashamed to say, was two weeks ago!! Words cannot describe the deliciousness I held in my hand with the cream filled delight! I am soooo happy to have them in our area. Nord's, you are amazing and the best!!!!!!!! 10 STARS!! I discovered Nord’s Bakery by purchasing one of their Awesome cookies and to die for Chocolate-Chocolate Cake at Kingsley’s Meat Market. The Chocolate-Chocolate Cake is not fancy, but it is the best chocolate cake I have ever eaten and very addictive. The next problem arose when I went to Nord’s to purchase a whole Chocolate-Chocolate cake for an event and then I purchased the long john topped with coconut. Now I’m hooked on the doughnuts…Oh no! These doughnuts don’t taste mass produced like most bakeries. I live in Prospect and drive to Preston for Nord’s bakery products and the hour round trip drive is worth every bite. Nord’s you are the best kept bakery secret in Louisville. I wish you continued success, but without long lines ;). Keep Baking! I came to Louisville to go to college, leaving my hometown of Evansville, IN behind. 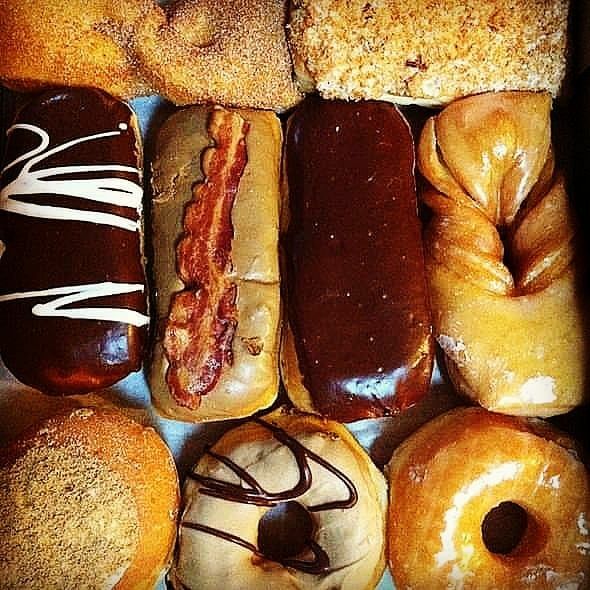 I always thought that Donut Bank, an Evansville based bakery, was the best and that there was no competition. A friend of mine picked me up for my first day of work, bringing a box of your donuts with him to celebrate my new job, and I fell in love. They were as good as Donut Bank! Some time afterwards I went to the actual bakery for some more, purchasing cookies to eat later. They were the best cookies I had ever eaten, even BETTER than Donut Bank's. Thanks guys, keep up the great work. My daughter is an EMT, and she brought home some doughnuts one morning that were creme filled. It took me back to when I was a kid, and you had family bakeries all over.. Conways, Bruggemsmiths,Thornhills...they have all gone out of business. Nords has the old time bakery feel, and fresh taste of their baked goods. Hope they stay in business forever!